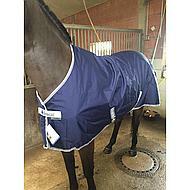 The Freedom Turnout has a 600 Denier rip-stop outer fabric and is available in several variants. 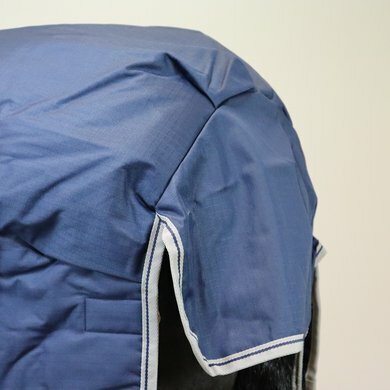 The outer fabric is waterproof and breathable polyester and the inside is made of breathable nylon. 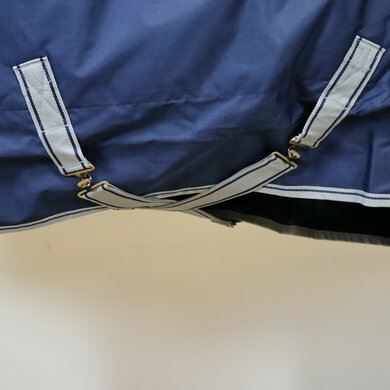 The blanket has a very strong front closure (Click 'n Go) of 2 hooks that you have to connect. 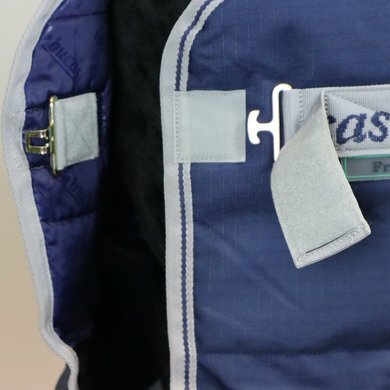 You can hide and protect them again by means of the overlapping flap with Velcro. 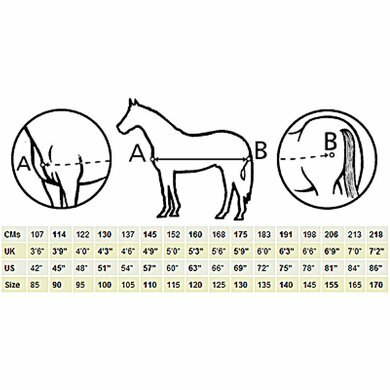 Because of the adjustable cross surcingles you can easily adjust these to the correct size of your horse. The blanket has a leg strap at the back, this cord is enough to keep the blanket in the right place. If you still have a pair of belts on the blanket, then there are attachment points for this, but these are not included. 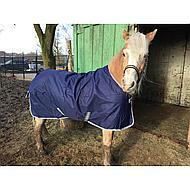 The blanket is waterproof due to the use of Teflon material in the blanket. 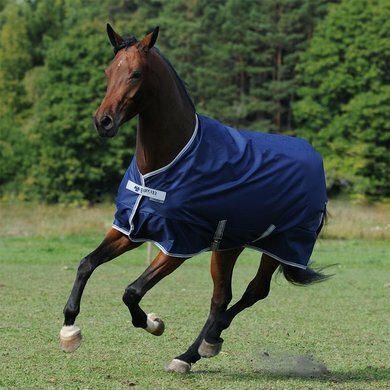 The blanket has a breathability of 3000 g / m2 24 hours. 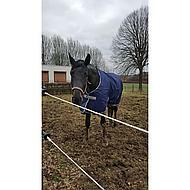 The Light is suitable for both spring and autumn, without lining (keep your horse comfortably between 8 ° C and 14 ° C outside temperature). 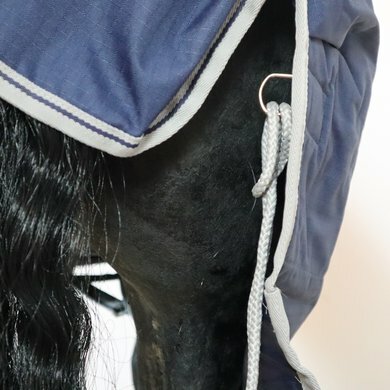 For the winter, there are the Medium with a lining of 150 grams (keep your horse comfortably between -5 ° C and 10 ° C outside temperature) and the Extra with a lining of 300 grams (keep your horse comfortably between -10 ° C and 8 ° C outside temperature). 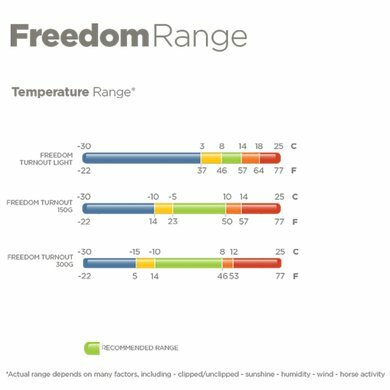 Three versions of the Freedom Turnout are available: the Classis Cut, the High Neck, and a blanket with neck; the Full Neck. 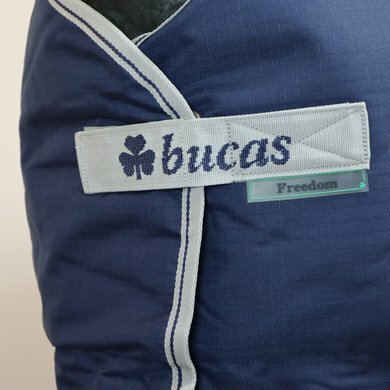 With the Freemdom Turnout Full Neck Medium and Extra variant, the neck has a lining of 150 grams. 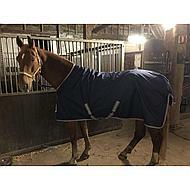 The Freedom Turnout blanket offers you Bucas quality at a low price. Super fine 0 gram rain blanket. Ideal for the transition between winter blanket and no thinking. Good fit and also made of strong material. Although the horses play with each other and sometimes want to bite each other, they do not tear. I recommend this blanket to everyone! 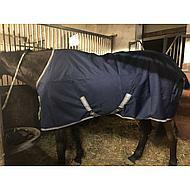 That Decke is optimized and with Pferd in keuer Scheuerstellen. The Material is stable. Very unfortunate that the sizes are 191, 198. I normally have 195 from another brand. 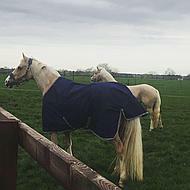 I have a 198 blanket from Amigo, the 198 Bucas blanket is much larger. Is way too big for my horse. Another big minus point is that the blanket has NO leg cords. Very nice blanket. The fit is super and blanket is sturdy. The closures on the chest are very fine.